The biggest problem doesn’t seem like it’s mobility, but rather STOPPING a mobile tool from rolling so you can use it safely. There’s an astounding range of solutions for this below – it’s interesting how many variations there are on such a seemingly simple problem. 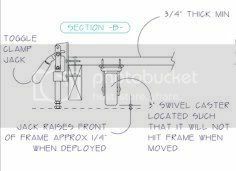 I hope you enjoy the following plans, videos and diagrams. A note – there aren’t actual plans for some of these, especially from the guys who have the really innovative ideas. I think you’ll be able to figure it out though. You’re a woodworker. These mobile bases are extraordinary. Mostly because of their ingenious lifting mechanisms. 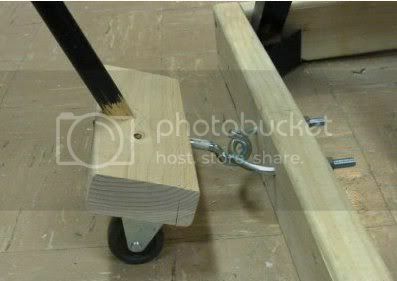 You won’t find locking casters on these bad boys… just inclined planes and levers. SWEET! 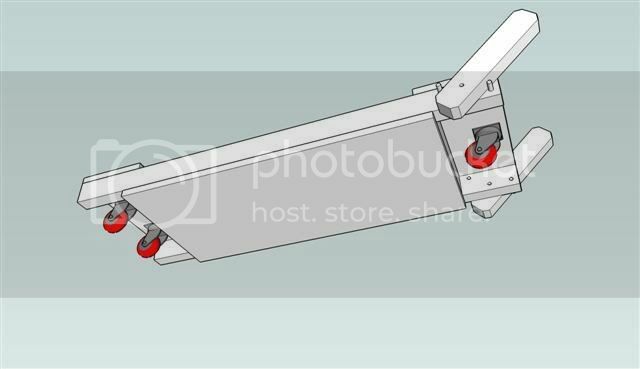 There are videos and plans for his table saw and jointer bases and plans only for his (not quite as astounding) mobile band saw base. 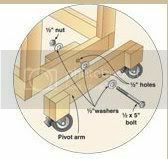 This is an article with an illustration that explains how to design a mobile base for typical woodworking machinery. This appears to be for cabinet saw size power tools. This one has some sweet lifting mechanisms. Much faster and easier to build than the ones by Wandel above. This one is just a video, no plans. Nifty enough. Check it out – you might get some ideas. I can’t tell from the picture, but this one looks like you’d have to rock it a little to boost the machine off the wheels. That seems dangerous, but hey I’ve never seen it in action. Your mileage may vary. WOW. 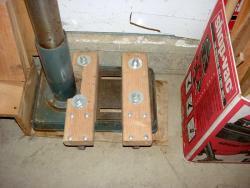 What a smart mobile solution for uneven floors! 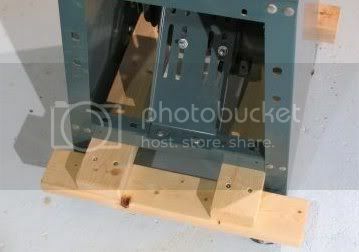 Check out the lift mechanism here – it’s super smart and super simple. 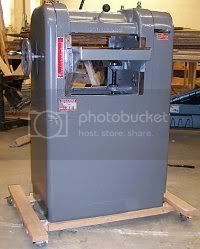 Locking casters and scrap wood holds up this 300+ pound joiner. I don’t quite get how this one works… it seems like the wheels are touching the ground at all times which would make this a little too mobile if you ask me… But it seems to work for this fellow. 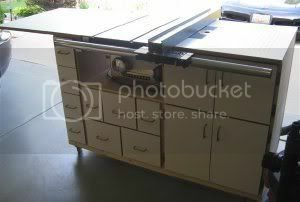 Mobile Work Station for Contractor Saw This is a 6 part blog series from LumberJocks. AMAZING. 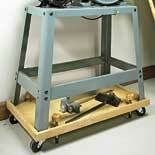 How did you folks move saw onto mobile base? James Suzda: “When I had to lift my Grizzly saw by myself and not having an engine lift, I placed two 2×4’s on edge under the table but tight to the cabinet. I put some pipe clamps across these 2×4’s so they wouldn’t twist out from under the saw. What wood is best for a mobile base? 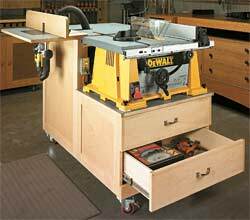 I am looking for plans for a rotating table on wheels that I can put my small sanding station and small thickness planner on. Any help would be greatly appreciated.